Hi Users!! I have posted so many tools, so far, I hope you will be taking advantage of this blog! Okay this time I will share a lightweight tool for Sony Experia users and mobile phone technicians also who do not have this tool, for those who already have ignore it. 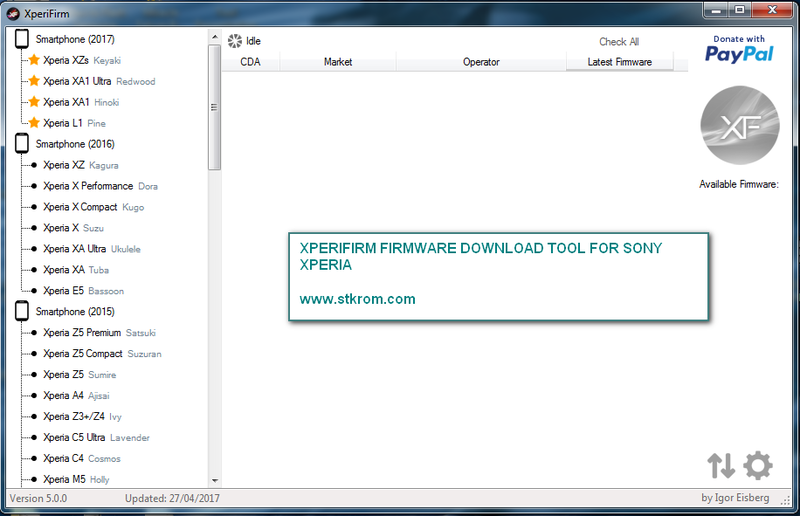 This lightweight tool is called XperiFirm for you to easily download the firmware for your Sony Experia device. This tool is almost the same as SamFirm tool downloader to download the Samsung firmware. 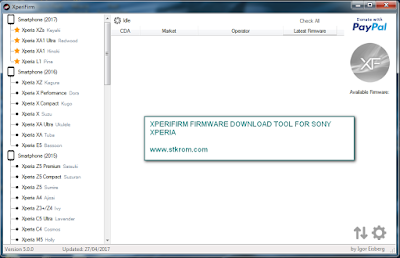 And to use this XperiFirm tool can you see the guide below. Sony xperia firmware downloader is currently latest update popular powerful tool. You can use allow to download the current Sony xperia firmware for all Sony xperia smart phone or a tablet and accessories running android. Xparia firmware this is most helpful for us. It is not a flasher or a TWRP installer, instead it keep things at very stock and genuine level. This tool is to be used for multiple purposes according to one’s needed. Sony Xparia firmware is a very useful tool giving you the choice to download firmware from any region for your particular xperia handset i.e. all of Sony xparia smart phone or a tablet and accessories running android phone drives properly installed. It can be easily download and used. To use Xpeira firmware is only must meet certain requirements on your PC, which are described this. If you want to use it as a firmware download, follow the steps bellow. Step, download here XperiFirm Aplication, open the XperiFirm app. Download process runs, wait until finished. If break up please repeat again. First download the XperiFirm.exe file then. Unzip to a new folder of if you already have flash tool decompresses the archive.zip and copy the three files directly Flash tool folder. Then you will need to update the software on your device to get the latest functionality and enhancements in order to ensure optimal performance .If you have already installed Xperifirm it will check for new software for your Xperia device if your phone is connected by USB or Wireless connection and the software update application on your device. What Xperia does is scour Sony’s servers for the latest firmware Software will only show you what exist on Sony Mobile’s servers. Then chosen CDA to download, it will download the official FILE files that Flash tool Decrypt and bundle to create a FTF firmware file (“Tools” > “Bundle Creation”, within Flash tool). 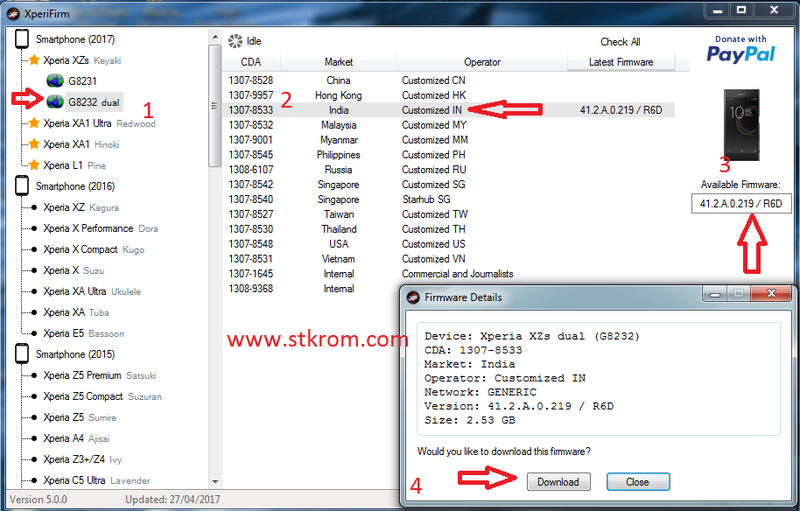 This Sony Xperia downloader can be used in many ways. Use this powerful tool to download best and perfect firmware for your Sony xperia device.Creadirted by www.xda-developers. Easy to use Firmware Installation. Packaging of Firmware in Flash able FTF File. Check the latest firmware for device connected. Pause and resume download functionality.